GIANT CASTLE PAIL | American Plastic Toys Inc.
Make a huge sandcastle with our largest castle pail! 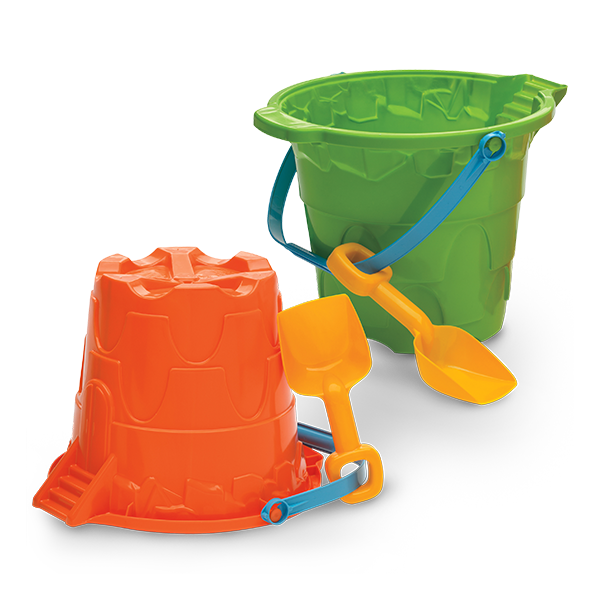 A shovel is attached to each pail with a removable handle strap. Packed in assorted colors.